There are tons of websites where people can post photos and comments about their latest trip, for the intended audience of family and friends, and plenty of people who write reviews of destinations for sites like TripAdvisor or Yahoo Travel, and even quite a large number of people who blog about travel as a part-time endeavor. In almost all of these cases, these are “hobbyist” travel writers. 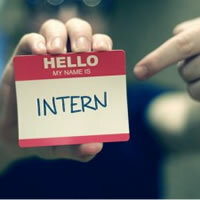 Some may dream about becoming a professional (ie. paid) Travel Writer or Photojournalist, but few take the plunge to chase that dream. Travel writing can be a great business — but it takes a great deal of work and perseverance to turn a hobby into a travel writing career. Would I be satisfied if I kept writing just as a hobby? 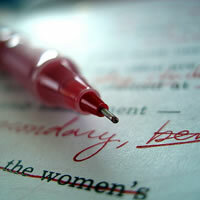 Do I want to take my writing to the next level? Am I willing to write for free if it’s necessary to get started? If you’re ready to go to the next level as a freelance travel writer, then it’s time to put your “business cap” on and start thinking like a solopreneur! If you don’t already have one, start a blog — this way you’ll be able to show off your writing. Send out inquiries to editors — at least 2 per month — include pictures! The biggest complaint from new writers is that they believe that they’re not getting paid what they’re worth. There are a great deal of freelance writers all competing for a limited amount of writing assignments, so it takes dedication, hard work, and persistance to build a successful career. That can — and sometimes does — mean that you may write for free, but our advice is to only write for free if it is for an online or offline publication that has a significant number of readers, ensures author credit (a byline) and links to your site, and offers the potential for paying assignments down the road (but not too far down!). The bottom line is that you can be a successful travel writer. The choice is yours. But, you must change your mind set about it. 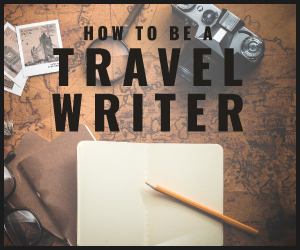 Of course, you want to enjoy your travels and have the best experiences, but if you’re serious about becoming a professional travel writer you must ACT like it, otherwise people will not take you seriously. Have confidence in yourself and your writing. People can sense when a person is confident or not. Don’t be afraid to get aggressive in pursuing writing assignments. You never know what will be around the corner! Do you treat your travel writing like a business or a hobby? Where do you want to take it? This entry was written by Amandah Blackwell, and posted on Wednesday, June 17th, 2009. 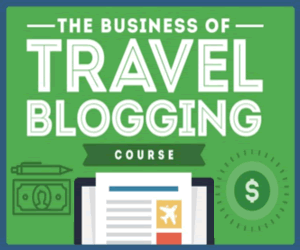 I’m down with turning travel writing into a business…the extra cash would be Sweet! I’ll definitely set myself apart with a travel writing niche — guys only vacations….this means hunting and fishing, visiting sports camps, extreme sports, etc…Thanks for the advice. Found the peice intersting. I agree, travelling and writing is a winning combination in my books. Two things I love to do. Oops, sorry. I just noticed I spelt piece wrong. I should have hit the editing button when I had a chance. Now it’s out there in cyber world that I cannot spell or perhaps type, or maybe both! With my writing, just as with my travels, I want to have a plan or a goal in mind. My time is valuable and I want to be recognized for it($’s). I appreciate your advice on making it the BEST it can be. Unless it’s good, it won’t sell to reader or publisher. Thanks for the tips. Great article! And yes, you CAN have a career in travel writing. V!VA Travel Guides hosts Travel Writing Boot Camps to help aspiring travel writers realize their dream job. Campers get a crash course on the career, and get to stay on-site in the host country after the camp as a PAID contributing writer for V!VA Travel Guides! Hi Rachel – thanks for your kind words! 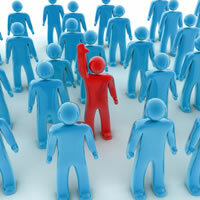 Your Boot Camps sound like fun, and we’re happy to help you promote them…..Cheers! I am not sure how this site slipped my attention. This is exactly the website I had dreamed of creating, but my plate was always too full. Mainly I recognized the need for the many travelers that have these awesome tales to tell, yet lacking in the skills required to write them on a professional level. So, here it is. 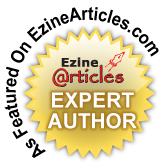 I applaud you for the fabulous job you have done creating such a wonderful travel writers resource for everyone. I will make note to send our own followers & customers your way. Many Regards,Roman T. CEO of Get A Trip.